One out of all potential buyers will skip it if this info helps. This you can rely on. I just got info that Nvidia CEO is losing the leather jacket and buying large amounts of moisture wicking t-shirts because AMD is putting some pressure on him lately. AMD has no idea as to what demand will be for this card. They can only produce the card in large quantities if the MI60 is requiring the wafers to be produced. As a shareholder, I prefer that they not push wafers through just for this low margin card to just let MI60 cards sit in inventory all year. That just uses up cashflow that is much needed elsewhere. The only people that will buy this, at this price, will be AMD loyalists that want to move up to 4K gaming. The question is how many of those people exist. Is it 5,000 or 40,000? We will never know as GPU unit sales per card are never made public. So discussing it is a waste of time and just an attempt to stir up a news cycle. 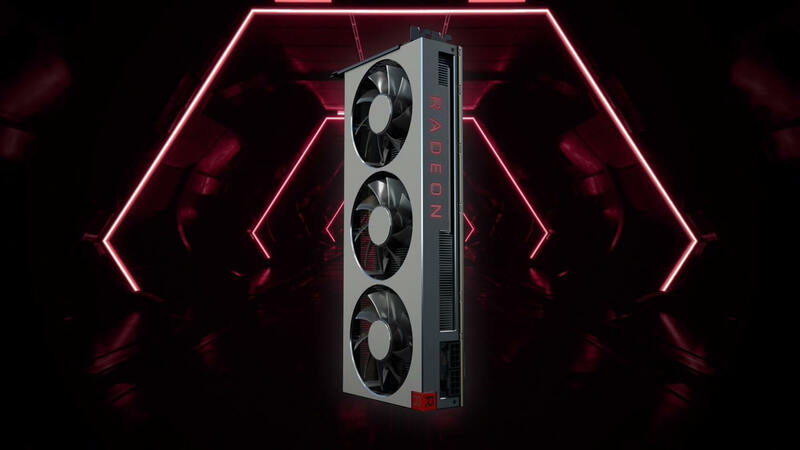 If there are reports of tight inventory for this card at the end of February I will be happy as it means AMD is limiting the production of this card as they should. Unless, of course, there is a material drop in the price of HBM2 that allows this card to move up closer to the corporate average gross margin levels. ShagnWagn and psycros like this. AMD has no idea as to what demand will be for this card. I'm keen to buy one. Content creation. 16GB VRAM. Otherwise it's Quadro P5000 or Radeon Pro WX9100 @ USD$1800. Burty117, UaPro and Raytrace3D like this. With stock levels this low it will probably never even reach our African shores. Oh well. Guess we will wait for Navi. Gives me time to save up for a ryzen 3000 to replace my aging 2600K. The question is how many of those people exist. Is it 5,000 or 40,000? We will never know as GPU unit sales per card are never made public. I will be happy as it means AMD is limiting the production of this card as they should. Then BOTH you and AMD have some idea. Burty117 and Arris like this. If I was not already an owner of a 1080 TI, I would jump on it. For content creators, it is hand down the best deal available for 16 GB of HBM2. The more I think about it, the more I think this card is looking better and better. If AMD can manage to have similar power draw in the area of a 2080 RTX, it could become a serious options. $699 Vega VII for the first 30 days then a drop to $599 a la the Pro Duo, FX 9590 and others. AMD can never compete with equal pricing. People that know AMD wait for price drops, because they are expected and AMD always delivers. AMD can't survive forever like that. RTG should go to Intel. AMD can't do CPU and GPU and stay competitive. AMD is known to have low stock at launch. When they do finally launch a high end product that is. This is no different. If they have 5000 cards I’m sure supply will exceed demand!